If you are serious about your bodybuilding regimen, then you cannot afford to underestimate the importance of having a well-sculpted chest and sharply-defined triceps. I am sure you have faced instances where you felt your chest and tricep workout was just not providing the results you wish to experience. Read ahead for chest workout exercises combined with a triceps workout regimen that has worked really well for me. 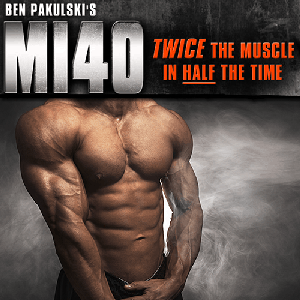 My chest and tricep workout is designed around my preference to simultaneously train two muscle groups in a single session. I focus on a large and a small muscle group and train for around 90 minutes during a single gym session. Never Begin without Warm Up!! Never begin your exercise routine without warming up. I cannot overemphasize this point. Irrespective of the actual routine you prefer—walking or jogging, jumping, or stretching on an exercise ball, or light weight lifting— make sure you are all warmed up before beginning your chest and tricep workout. A warmed up body faces lower risk of injuries. Hitting top gear from the word go will significantly increase injury risk, especially when performing a strenuous routine like the chest and tricep workout. The warm up exercises will boost blood flow to your muscles, which will ensure the wear and tear resulting from your workout does not result in significant damage or injuries. Secondly, reduced injury risk apart, warming up will also help boost your endurance during your routine. I have observed that those who start working out without warming up end up struggling to maintain intensity throughout the routine. 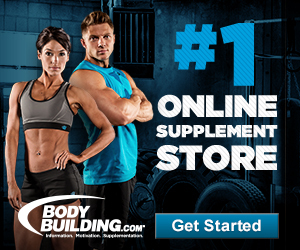 They end up burning out quickly, which obviously will affect the overall development of your physique. Thirdly, warm up is particularly important for the regimen that I have described below. My routine involves intense exercising for as long as possible with short breaks not exceeding 30 seconds after each set. This helps keep the muscles warm till the very end of the routine. Doing a weighted exercise involves something more than lifting a weight and moving your hand or leg. 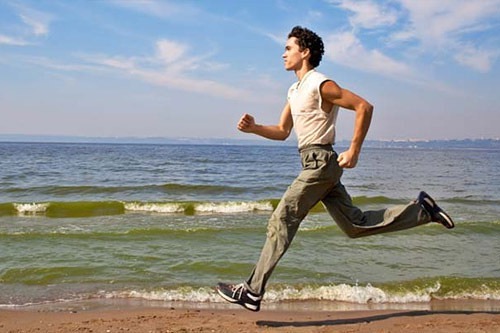 The right form and technique involves contracting your muscles, regulating your movement, and moving your body in precise steps. Ignoring form and technique when you are lifting heavy weights can easily lead to badly-shaped muscles and painful injuries. So, take your time, understand the logic behind the exercise, and identify the muscles that you should focus on before beginning the exercise routine. Experienced bodybuilders and fitness enthusiasts will agree when I say that exercising, especially weightlifting is all about building muscles and improving your fitness in the most efficient manner possible. This is where adopting the drop set approach can make a huge difference. 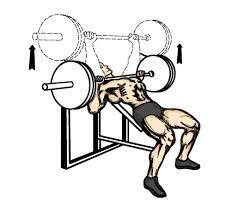 To do a drop set is to choose a weight and do as many reps as possible and immediately shifting to a smaller weight and continuing the reps, and continuing to do so until you just cannot exercise any further. Instead of the conventional approach of choosing a weight, doing reps, resting, and doing some more reps, you will keep on dropping the weight and continuing the reps until you just cannot proceed any further. The first routine involves performing four sets of 10-12 reps each with the final set being a drop set. Try to avoid long breaks in between; rest between sets should not exceed a minute. You should have a target weight that should be higher than your existing lifting ability. 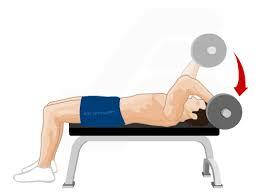 The idea is to add weights after every 5-10 reps to test your limits in a steady and progressive manner. Start with 50 kg, do 5 reps, add 5kgs to the bar, do 5 more reps, and try adding another 5kgs, and so on. Remember, you cannot move from 50kgs to 80kgs in a single day. Once you reach a point where you just cannot lift a heavier weight, focus on building strength and improving stamina before adding weights after a few days. I have noticed that such an approach can easily improve your overall strength and lifting capacity over a span of a month. The idea is to try and push the limits of your capacities with small additions of weights to the barbell. So, choose a weight that you are comfortable lifting, keep adding 5-10 kgs after every rep, and keep pushing ahead. It is not mandatory to rest for a minute after each set. A 30-second break is always better than resting for a full minute. If you are planning to do four sets, then remove all weights from the bar after the third set. After three sets of heavy exertion, lifting just the bar will seem like a very easy affair. The catch is that you won’t have any pre-determined target for the reps. Keep lifting until your muscles give up. 20-40-60 reps— keep going until you face failure. 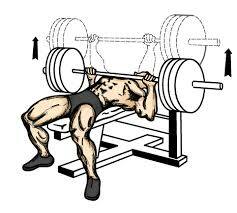 Start with a light weight and add weights to the bar as you become fitter and your muscles gain more strength. This can take anywhere between one to one and a half months. Be patient. Simply sticking to the routine will lead to eventual muscles development. The bench press is the most dangerous exercise where choosing a weight beyond your lifting capacity can lead to serious accidents. Have a buddy acting as a spotter. When you reach a weight where your muscles struggle, have your buddy lend a hand. The idea is to make sure there is help nearby if your muscles give way and the weight comes crashing down on your chest. Perform four sets consisting of 10-12 reps each with a drop set on the last set. You can rest around 30 seconds to a minute between sets. Choose a weight that challenges your muscles; no point choosing a weight that you can easily lift. The drop set for the last set can really get your muscles tingling and blood flow going. This can give you a pumped feeling, which, in my opinion, can result in a huge psychological boost. It is important to arch your lower back when performing this exercise. This will cause your chest to stick out. Not only will this boost lifting power, it will also ensure you don’t end up working out your shoulders instead of your chest muscles. My experience has been that exercising with a buddy can help you push yourself harder. I tend to quit easily when working out alone. With a buddy to razz me for being lazy, pushing my limits becomes a lot easier. It may vary from person to person but this is something you ought to consider. Just as armed forces differentiate between tactical and strategic missiles, some exercises offer visible results immediately while others, with no visible results, offer great long-term benefits. Performing three sets of declining weighted push ups consisting of 10-12 reps each with a minute’s rest between sets is a ‘tactical’ weapon that will help you improve the shape and cut of your muscles in a very short period of time. You can choose amongst multiple variations. Wear a weighted vest, place a plate on your back, my preferred option, or opt for any other way to push your body to the limit. If you are just beginning to perform a chest workout, then I will suggest you begin with light weights to minimize injury risks. Find the idea of using a weight to be uncomfortable? Just skip it and opt for normal pushups. This is the golden rule of chest and tricep workout—just skip if not comfortable. So, you have normal pushups, weighted pushups, and, if you to further increase the challenge, then declining pushups where you put your feet on a bench and perform weighted pushups. Be prepared for the energy rush when your body responds to this routine after you have performed the first two chest exercises. 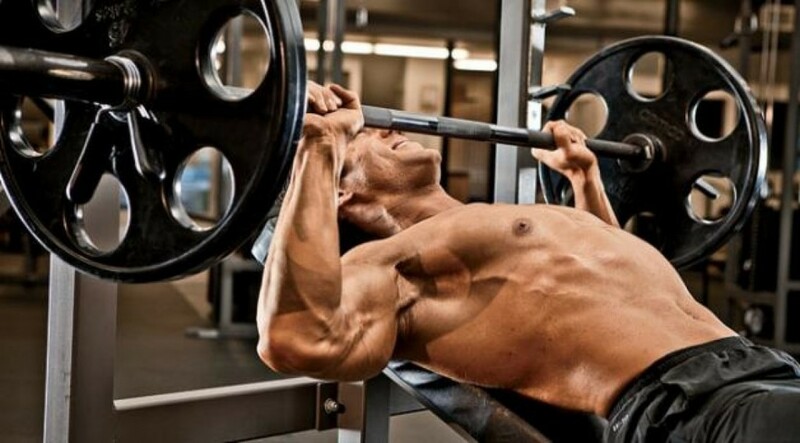 Three sets of 10-12 reps with a minute’s rest in between is the easiest way to widen your chest muscles. I suggest you opt for a heavy dumbbell around the 20-30kgs range. Happily, this routine will help sharpen your lats as well. Many weightlifters err into following a fixed lifting routine. Slowly, the body will get used to the exercises and will stop responding to the workout. You will get de-motivated and quit. Minimize this risk by adding a bit of variety into your routine. Three sets of 10-12 reps of standing cable flys with rest duration of 30 seconds to 1 minute in between will help you avoid monotony. Cable flys help because you have multiple options— the fly machine, cables, dumbbells flys, and so on. 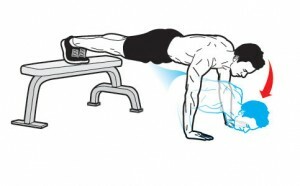 Strain and stretch your chest, improve bulk, and improve muscle definition with this exercise. By the time you finish your chest workout, you should feel drained out and should be simply unable to do any further reps, which is an easy way to assess the efficacy of your workout. Now that the large muscle group is taken care of, it is time to move to the smaller muscle group with the triceps workout. Begin your routine with triceps extensions on a flat bench with barbells. Three sets of 10-12 reps each with not more than a minute’s rest in between should be adequate. This skullcrushers routine is the best way to add bulk to your triceps in a short duration. 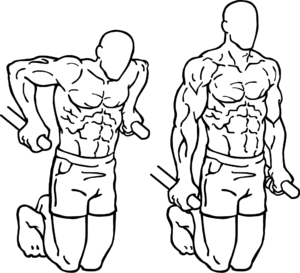 Want well-defined triceps? Then, you need to opt for three sets of 10-12 reps with the standard rest period for the overhead rope extensions exercise. I make sure the wrist is extended all the way and the palms are facing down at the bottom of the pull. Make sure you squeeze your triceps with every rep.
To isolate your triceps and work on it, make sure the elbows are locked to your sides. All movement must take place at the elbow joint only. 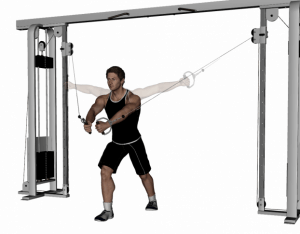 While the second exercise involves pulling the rope in front of your face, this routine involves pulling the cable above your head when you are facing away from the cable machine. 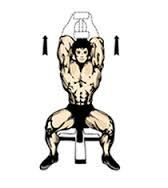 Again, three sets with 10-12 reps and standard rest should help you pump your triceps and enjoy the strain on these muscles. 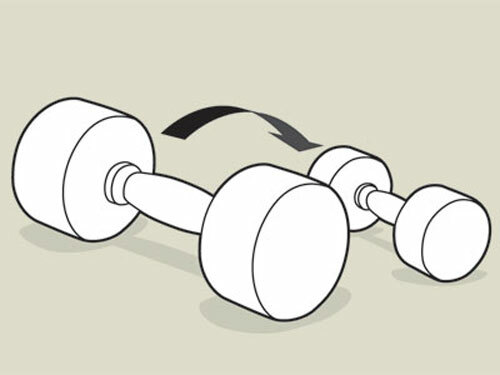 The extensions can be done with a barbell, a dumbbell, or using ropes. Play around depending on your mood. This rather old-fashioned exercise can be done normally or with weights, if you wish to make things a bit tougher. Start small. Even doing five at a time is not bad, especially in the beginning. I remember the time when I used to collapse after doing just one. So, it’s not a big deal. 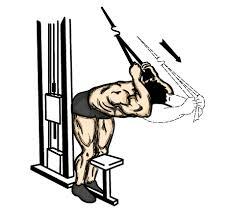 Three sets of 10-12 reps as you lower your body in a smooth and unhurried motion between the bar. Don’t move your shoulders, bend your back, or lean forward. Make sure you give your triceps a good squeezing workout as you move. If you want to make things tougher, try balancing a dumbbell between your legs for that extra strain. Stand or have a comfortable seat on a bench as you finish your triceps workout with 3 sets of overhead dumbbell extensions. 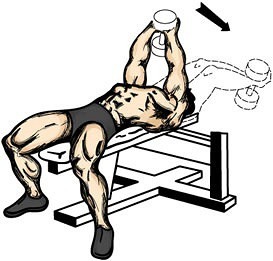 Have a heart-shaped grip on the dumbbell, tuck your elbows in, and let the triceps to the work. The combination of chest and tricep workout, if done in a disciplined and sustained manner, should help you improve bulk, shape, and definition of these two important muscle groups of your body.